Visionary rap group A Tribe Called Quest reconvene to release their first album in 18 years, and the timing could not have been any better. The messages that their brand of politically charged rap is laced with ring especially true in the wake of the US Presidential Election and the toxic divisiveness of opinion that has been running rampant throughout 2016. 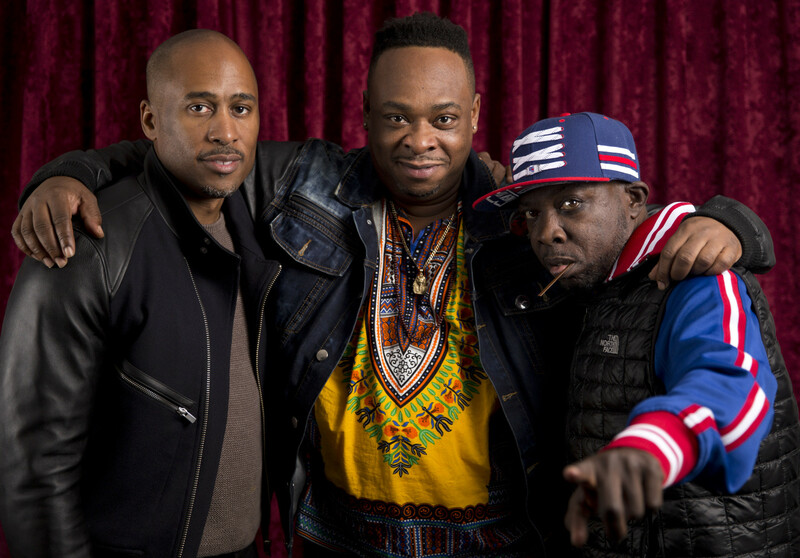 Despite founding member Phife Dawg’s death earlier this year, recordings of his voice are still included on the album, interspersed with tributes to his legacy. As the man behind the vast majority of production for the group, Q-Tip remains the clear leader and his presence is felt the most on this project, his flow and cadence still as youthful as ever as he ages into his late 40s. As the group is certainly from a different time, as the parameters of what hip-hop music can be have evolved drastically since the release of their previous project in 1998, the album can come across somewhat dated at times. However, the technical skill of the group members (and the impressive list of guests they bring along with them!) and the poignant and topical messages rise above to deliver what will surely stand as a very important project. Q-Tip picks up right where he left off with regards to the production on the project. It is very quintessentially 90s, but certainly possesses some aspects of more modern techniques sporadically interspersed — you’d never find something like a Jack White guitar solo on a previous Tribe project, for example, and there are some pretty nice vocal samples on tracks like “Enough! !” and “Lost Somebody”. Most of the tracks, however, are still very focused on something like a hi-hat laced drumbeat more than anything else, predominantly showcasing the technical abilities of the rappers. These classic-sounding beats are nice to hear, just like the old-school West Coast sound on Dr. Dre’s Compton album, but in a world where visionary artists are perpetually pushing the boundaries of hip-hop, sometimes an impressive flow alone is underwhelming. The roster of guests on the project is nothing short of spectacular. The rap features go bar to bar with the deft lyricism of Tribe members, bridging the historical gap with old associates like Busta Rhymes and Andre 3000, and new stars inspired by their work like Kendrick Lamar (despite his placement on one of the album’s most repetitive and underwhelming tracks) and Anderson .Paak. In addition, Jack White’s impressive guitar work and vocals are featured on numerous occasions, and somehow, Elton John shows up to close out standout track “Solid Wall of Sound”, which heavily samples his “Bennie and the Jets”. A Tribe Called Quest, despite the many years spent apart from each other fraught by tension among its members, come back together flawlessly here in terms of not losing the dynamic between the vastly different styles of its members. The execution is perfect here, as Jarobi’s low and menacing tone bounces off of Q-Tip’s childlike demeanor and Phife Dawg’s Trinidadian flair. The tracks where they go back and forth trading lines, sometimes with a guest like Busta Rhymes included, are among the album’s best. Their technical abilities really are something to behold, especially on a track like “Solid Wall of Sound” where Q-Tip’s speedy flow dominates as his group members respond to him in kind. In other areas of strength, the sound of the album is quite unified and it makes for some entertaining transitions between tracks, and the political messages they spin ring absolutely true. “We The People….” effectively serves as a modern-day protest track against all forms of hatred, as Q-Tip sweetly and sarcastically sings a deceptively catchy chorus from the perspective of a Trump supporter: “All you black folks, you must go/All you Mexicans, you must go…Muslims and gays, boy we hate your ways”. Other messages of odds being stacked against success of African American people dominate most of the tracks here. The closing track, “The Donald”, reclaims the nickname and attributes it to the deceased Phife Dawg instead, who was nicknamed Don Juice. The album suffers when it gets stuck in its ways in terms of being dated. There is even some old-school style beatboxing on “Melatonin”. Jarobi addresses trap music and artists like Fetty Wap as “Moving Backwards” on the track of the same name, contrasting with his “legendary style of rap”. This is not the most positive mentality to have in today’s musical landscape. The album doesn’t really have much musical direction at times, featuring repetitive and clashing samples. A Tribe Called Quest are more trying to really emphasize and pound home their political messages and respect of Phife Dawg than creating a completely cohesive song. Overall, We Got It From Here … Thank You 4 Your Service serves as an exhilarating time capsule to the past, all the while delivering topical and harrowing messages relating to the scary state of the world today. 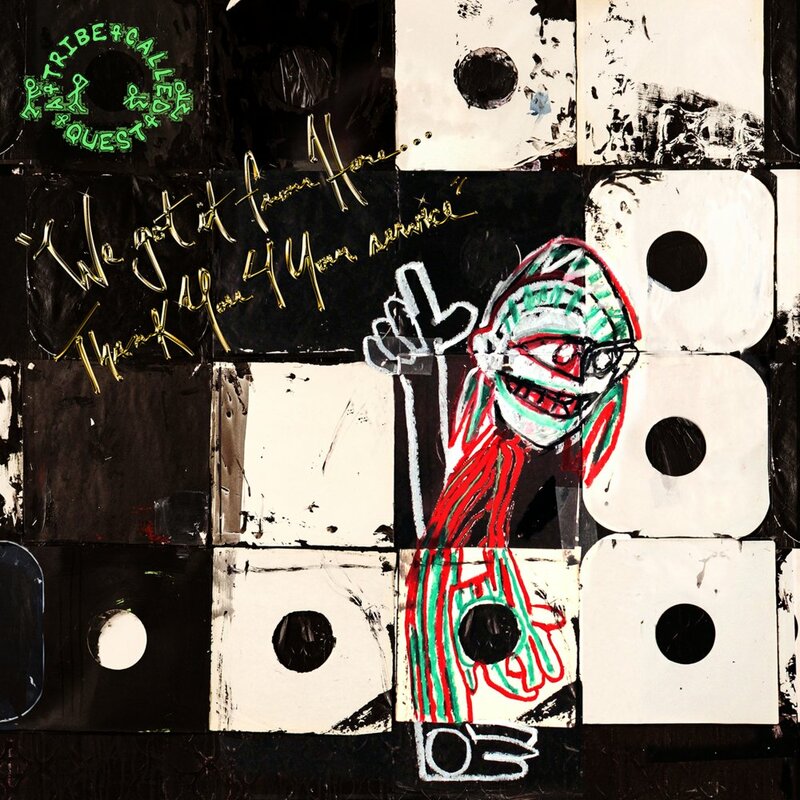 This has been explicitly stated to be A Tribe Called Quest’s final album, and they’ve certainly returned after so many years to decidedly go out on top. Favourite Tracks: Black Spasmodic, Solid Wall of Sound, Whateva Will Be, We The People…., Enough! !